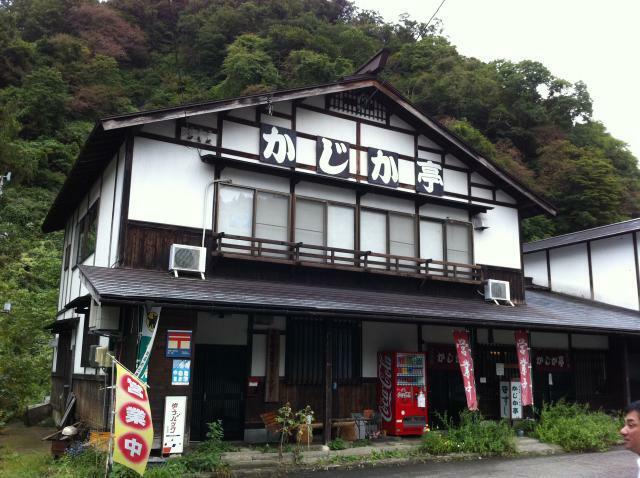 Try Northern Nagano’s Iconic Sasa-Sushi and Tomikura Soba at the Landmark Kajika-tei. Tomikura Soba is unique in that it uses the fibers from the leaves of a local burdock root called oyamabokuchi to hold together the (locally-grown) buckwheat. With origins dating back over 400 years ago, Sasazushi has been a specialty of Iiyama City and surrounds for more than 4 centuries. Sasazushi is vinegared rice, 'sansai' edible wild vegetables, miso paste, walnuts, egg and pickled ginger wrapped in a bamboo leaf. Legend has it that when Uesugi Kenshin, the famous samurai warlord from neighboring Niigata Prefecture, traversed the Tomikura Pass into modern day Iiyama City in northern Nagano Prefecture in the late 16th century, the locals scrambled to come up with something suitable for such a renowned samurai. They hastily prepared a type of sushi containing vinegared rice, edible wild vegetables from the mountains, miso paste, walnuts, shredded 'tamago' (Japanese omelet), and red pickled ginger wrapped in a green bamboo leaf. This concoction dubbed "Sasazushi" (=bamboo leaf sushi) became a hit and is popular to this day. Go careful with the sasa leaves -- it's easy to cut yourself. 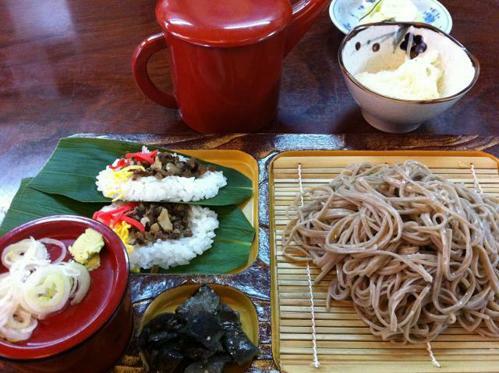 Tomikura is also famous for its unique soba that uses a local plant, Synurus pungens, to bind the buckwheat flour (instead of wheat flour). From Iiyama Station(JR Hokuriku(Nagano) Shinkansen), 20 min. by taxi. From Toyota-Iiyama IC, Take Route 117 north into central Iiyama City, then Route 292 (the Iiyama Kaido Highway) towards Niigata (18km, 26 min.). Metal Engraving with an Iiyama Master Craftsman : Have One of Iiyama’s Master Craftsmen Show How to Engrave Brass. Uchiyama Washi (Japanese Paper) Making at Kamisukiya (Kijimadaira Village) : Kijimadaira’s Version of Snow-Country Uchiyama Paper Making.